Unsilence’s gentle, considered and beautiful traditional doom metal is a warm embrace in a cold world. ‘A Fire On The Sea’ is the band’s second full-length album, and it is uplifting and melancholic in a way that only high-quality doom can achieve. Unsilence manage to be effortlessly epic, never resorting to melodrama, bombast or gothic pretension. This release from Poland’s Nine Records follows on from the band’s exciting 2009 debut ‘Under A Torn Sky’. It takes Unsilence to a new level, creating deeply touching and emotionally mature slow and heavy music that has the X factor. Not the glitzy, formulaic Simon Cowell type, of course, but a genuine sense of mystery and power. Much of this comes through the larynx of James Kilmurray, whose unique vocals rise and soar like a doomed blend of Michael Stipe and Sinead O’Connor. Twenty years ago, with their original singer Andrew Hodson, Unsilence created some very decent death-doom but, since guitarist Kilmurray stepped up to the mic, the band has really carved itself a niche in the doom underground. Inspired by the likes of Candlemass and Celtic Frost, Unsilence is the sickly child of Kilmurray and Kieron Tuohey, the latter of whom is also a member of doom prospects The Human Condition, along with drummer Jonathon Gibbs and bassist James Moffatt, both of whom temporarily join him on this recording (following the departure of long-time bass wielder David Elliott). ‘A Fire On The Sea’ was recorded at Full Stack Studio in Lancashire, England, with Matt Richardson handling the engineering duties. The album features a richer and more balanced sound than the band’s previous recording, which goes hand in hand with a new sense of purpose and dynamism in the songwriting. The seven tracks typically last for six or seven minutes each, and are generally well-conceived and smartly-paced compositions that develop into something glorious. ‘A Thousand Seasons, for example, is a sophisticated and expertly-crafted doom metal opus, while ‘Breaking Away’ provides a sublime ‘otherness’ through the unusual vocals and harmonic genius. As before, Unsilence are slightly over-reliant on Kilmurray’s voice, which risks suffocating the songs on occasion, and there are times when his over-elaboration proves to be a distraction. Unsilence are at their most potent when the unusual guitar melodies are given their own space to breathe, such as on the opening song ‘The Doorway’. Elsewhere, there are a number of mid-tempo excursions that add an almost stoner-ish hint and help to release some of the rising pressure. Similarly, ‘Old Tides’ is a brief, folky acoustic doom ditty that is an antidote to the claustrophobia, adding an element of surprise like a bunch of depressed wandering minstrels knocking on your door. 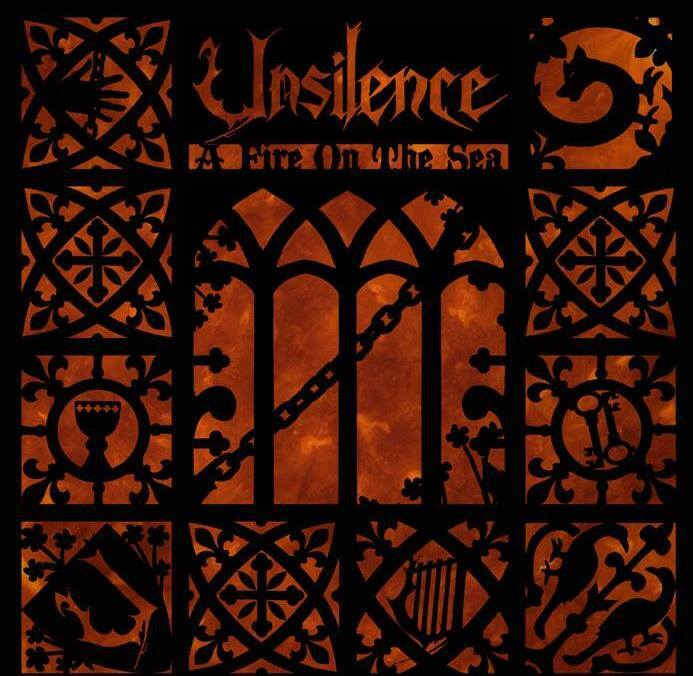 Like Unsilence’s previous album, ‘A Fire On The Sea’ seems to draw inspiration from nature’s elements, which inject an inner strength and organic power to this contemplative collection of top-notch doom metal hymns. Unsilence are a unique force of nature; they might not get round to releasing new work very often, but when they do it’s worth the wait. ‘A Fire On The Sea’ is a quietly magnificent triumph. This follow-up to 2013’s ‘Temple Of Doom’ features six tracks of grindingly horrible funeral doom that sometimes veers into blissful bleakness. With a song called ‘Frozen’, this could not be further away from Disney’s recent sugar-coated kids movie. 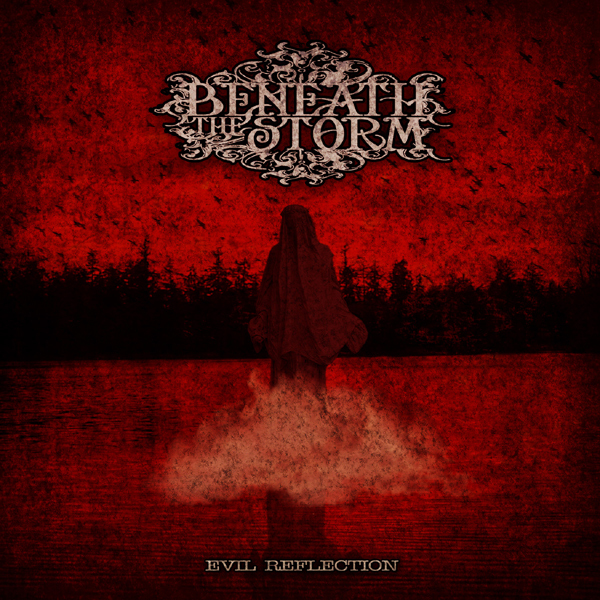 The one-man band of Slovenia’s Igor Simon, Beneath The Storm creates a rich and textured sound, with slow, horrendous riffs complemented by a low growl that is sometimes barely audible through the six-stringed wall of pain. The sinister vocals, coupled with curious, echoing drums that sound like The Eurythmics suffering from the worst hangover in history, give ‘Evil Reflection’ a strange winning charisma. However, the simple, sludgy ideas start to become a little predictable in places, as does the over-reliance on samples of dialogue from old horror flicks. There are plenty of grimly enjoyable moments to be found though, with ‘Silent Exhale’ being one of the standout tracks on a dark and powerful album that starts off as miserable as Hell and goes downhill from there! This is blackened drone mixed with slow doom and nightmare-inducing noise and it leaves you cold. If you’ve ever wanted to lie in the snow and discover what it feels like to slowly freeze to death, just listen to this. Not all of this slow hour-long album is as profound as the band seem to believe, however. There are periods when there’s literally nothing happening. Experimental? Experiential? Or just plain inexplicable? A little bit of each. Weeping, Kneeling have created an intense album that lacks personality in some areas, but is overwhelmingly impressive in its ability to ruin your day. ‘Blood Of Ritual’ is pure, unmitigated misery and that’s pretty difficult to enjoy. Dreamy post-rock delivered with attitude and invention, this work from Lisbon’s Pedro Coelho Pereira has been described as ‘doomgaze’. But does it work? Well, yes it does, but only if you’re OK with a kind of gentle gloominess in place of massive corpse-shaking riffs or crushing guitars. This could appeal to a broad spectrum of fans, from Pink Floyd, Burzum or Sigur Ros lovers to fans of Jex Thoth or Pilgrim. It’s pretty exciting when the rusty, distorted guitar kicks in on ‘Dog From Hell’, but generally the album restricts itself to gentler tones that glimmer like sunlight on water, as well as bleak discordant keys, determined drums and a bass that flits between Bob Daisley and NWA. Occasionally an otherworldly voice floats by and then disappears – like any dream this is random and sometimes frustrating. Some of the song titles sound like Helloween but there are no grinning pumpkins here, just lo-fi beauty and slow, simple songs, like memories of happier times. Some of the ideas are allowed to turn stale and the bass becomes repetitive at times, but this is a collection of tunes as tender as they are sinister. It’s impossible NOT to love Red Scalp. They play traditional stoner metal with a contagious glee that is guaranteed to make you grin. The Polish stoner scene has thrown up some impressive bands in the last couple of years, and Red Scalp is the latest outfit from that nation to grasp the baton with boundless enthusiasm. Despite its uninspiring title, ‘EP No.1′ thunders at you like a Siberian mammoth that’s just been thawed out after 15,000 years in a glacier. It’s big, hairy, confused and really, really pleased to see you. The thick, bruising riffs don’t quite date back to the time of the cavemen; rather, they come straight out of the early 1990s, and are delivered with such gusto that they sound as fresh as they did back in the day when Kyuss, Acrimony and Acid King had just begun to melt the universe with their deadly fuzz. This is the sound of a band in the throes of a stoner metal epiphany: the drums are like horses’ hooves trampling you into the dirt, the guitar tones are – of course – low and fuzzy, the bass is a pan of bubbling stew about to explode, while the much-loved psychedelic swooshes are used sparingly, except on ‘Sweet Pill II’, a song which is perhaps too chilled for its own good. The vocals are of a pretty good standard, mixing classic rock, stoner style and metallic melody, albeit within the singer’s own limitations and with a distinctive accent. Production-wise, the EP feels slightly claustrophobic – often, this works in the songs’ favour, adding to the vintage vibe, although if the guitar was a little more prominent, Red Scalp’s energy would be more forcefully realised. There are traces of early Judas Priest in the higher-tempo parts, even earlier Deep Purple in some of the solos, a bit of Uriah Heep in the groove. On the final song, ‘Sin City’, the band manages to mix Poison’s sleaze, Trouble’s melancholy and Cream’s panache. The opening few seconds of the third track ‘Tatanka’ are likely to scare you half to death, featuring some Native American chanting that perhaps ties in with the band’s name and artwork. The song’s subsequent riff, however, will breathe life back into your body and warmth into your soul. 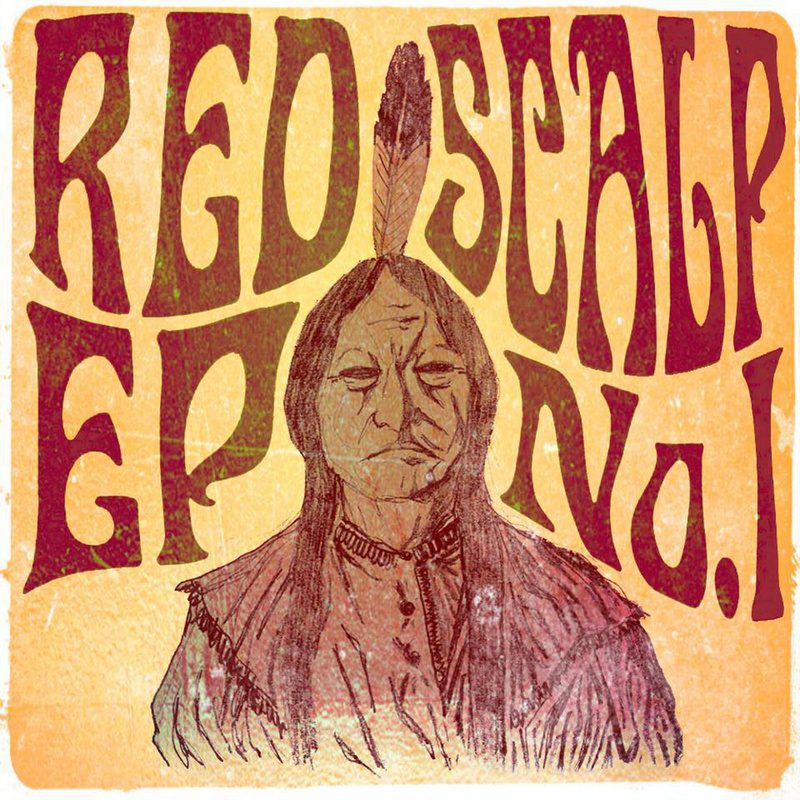 Yet again, Red Scalp have concocted a timeless tune that reminds you of old stoner friends, and have added a few of their own twists to keep the momentum going. This EP shows moments of great promise that the band can add character and colour to a blueprint first established 20+ years ago. Red Scalp’s ‘EP No.1’ is a stoner metal carousel, a huge, rusty metal machine that spins you back to a time when the riff was king. Once you get on, you won’t want to get off. A beautiful dream. Dissonant, tangential guitars echo across open hillsides, bass beats red and meaty like a human heart, subtly evocative keyboards move gently on the breeze, the drums come and go as the rising and the setting of the sun… days pass by, and only the music speaks. For Scotland’s Falloch, life is not black and white but shades of grey – and ‘This Island, Our Funeral’ is a lot sexier than that terrible book which got a few million housewives steamy a while back. From its pale landscape of placid lakes and broad, cold valleys, glimmers of colour appear from the mist; a blissful chorus here, a heart-breaking melody there. The band’s new album is gloomier than their debut ‘Where Distant Spirits Remain’, but also grand is its scope and bold in its vision. Do Falloch play ‘doom metal’ as such? Who cares – they’re slow, atmospheric and seriously impressive, so are more than welcome on this website. 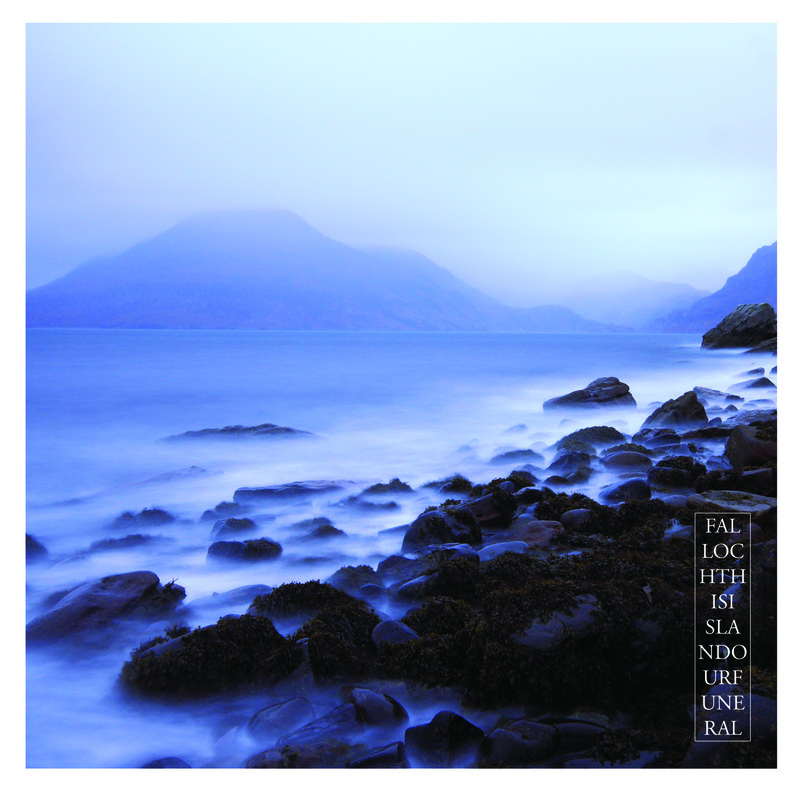 At DoomMetalHeaven we’re looking for quality music not genre arguments, and Falloch are class. The songs seem simple at first, but there is a lot going on to make them appear so. Having undergone some serious personnel changes since recording their debut – bringing in Tony Dunn on vocals/guitar, Ben Brown on bass and drummer Steve Scott to replace Andy Marshall – Falloch’s sound is more textured and intriguing than ever. At times Dunn resembles Quorthon on auto-tune, and this album could be said to be something of a ‘Hammerheart’ for the Scottish Highlands (or Glasgow, at least). Such is its energy and flow, and its ability to evoke in the mind’s eye a time and world long since disappeared. Dunn’s vocals are a perfectly judged balance of soaring and thoughtful and they help to create the album’s dream-like quality, even when the guitars veer towards something darker – if not exactly blackened, then perhaps charcoal grey. More often, the guitars have a smoother approach, the strings caressed, melodies coaxed. Musically there is a flavour of Alcest, while Falloch also concoct a number of epic sections that would make While Heaven Wept or Atlantean Kodex green with envy. Rarely does the listener’s attention wander – perhaps briefly during the jangling tour de force ‘I Shall Build Mountains’ – but generally the calm and patient compositions on ‘This Island, Our Funeral’ keep you in a state of breathless anticipation. Occasionally, tracks interrupt themselves when they risk getting carried away, returning to factory settings in order to build to another dramatic crescendo, so those hoping for immediate gratification may be frustrated. ‘I Shall Build Mountains’, for example, might be even more powerful if Falloch threw caution to the wind, while the 12-minute ‘Sanctuary’ leans on piano work from the Asia school of soft rock. Amazing to think that this record was created thanks to funding from Creative Scotland, a national organisation that supports the arts and which deserves great credit for recognising Falloch’s huge potential. Falloch have been able to create a beautiful work of doomed art that lingers in the air, whispering to you, and calling you out to the wild. Spectacular doom metal merges with driving 70s hard rock and classic metal in this inspiring and exciting new release from Italian four-piece Return From The Grave, the band’s second full-length. 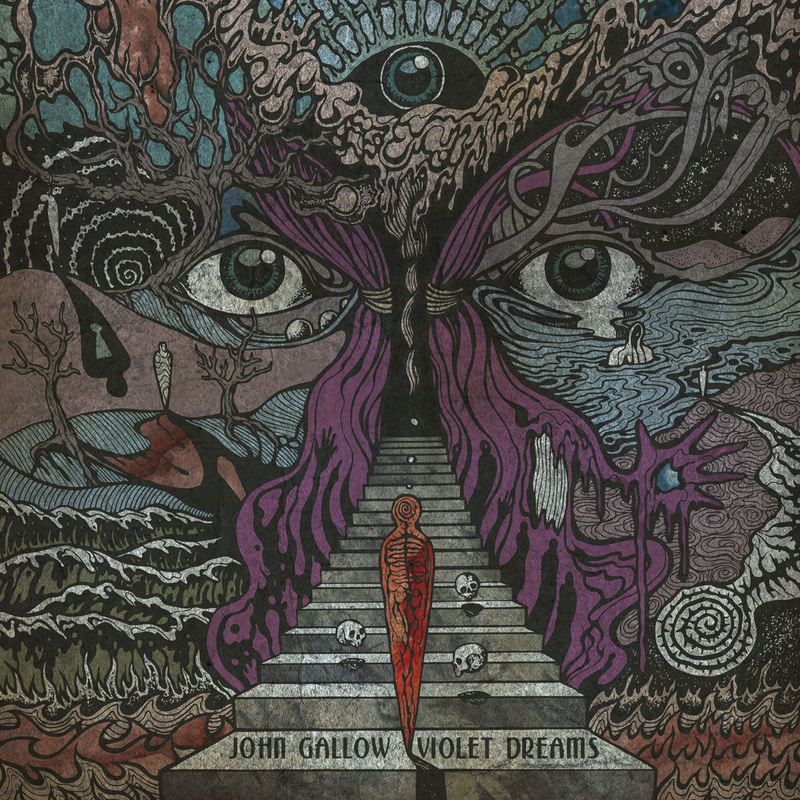 There are strong elements of stoner rock and hints of post-metal, too, making ‘Gates Of Nowhere’ a wide-ranging musical exploration that is expertly held together. The seven songs on offer here – one being a re-recording of an earlier work – take you past rich, colourful landscapes on a memorable adventure in a hot air ballon of Doom! Not many bands are able to marry stomping grooves with epic, often experimental, doom-infused musings on life and death so effectively. Recording entirely in analog, the album has a unique, grainy sound – the guitars are not heavy enough to crush, but they certainly crunch, launching from your speakers like a fist in a velvet glove. The big, bombastic riffs are cleverly twisted and infused with lots of character and creativity. 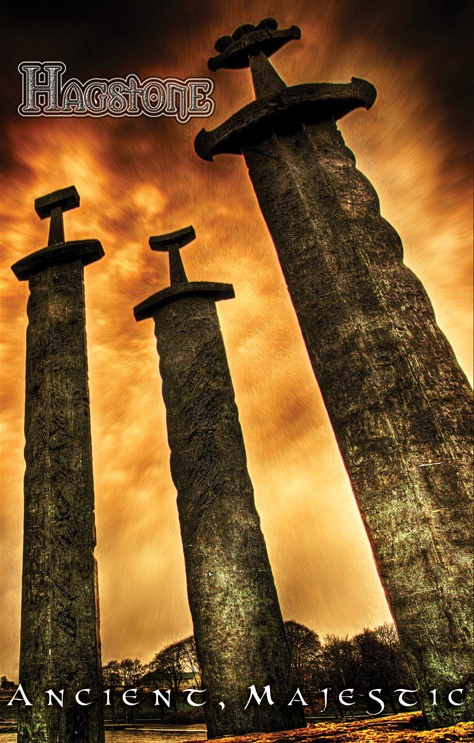 The vocals are a distant, sorrowful banshee cry – a beautiful sword with a rusty edge, melodic and yet dangerous. Semenz’s impressive voice has a timeless rock’n’roll quality that would work in any decade – it seems to emanate from the early 1970s and then pass through the 1980s (where it picked up some dramatic flourishes), into the 1990s (where it suffered pain and anger), and finally the 2000s and the hopelessness of modern loss. Musically, too, there is a sense of travelling through various moments in time – without becoming entirely derivative. This three-year-old Italian band has its own, powerful message to tell. 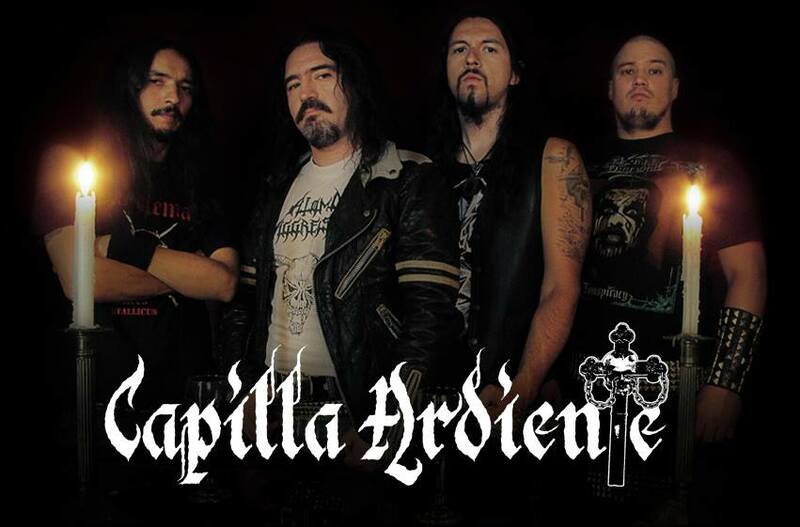 The album is likely to appeal to fans of the Welsh band Prosperina, as well as everything from Dio to Witchfinder General. A number of the tracks, such as ‘Rage Of Rays’, raises the spectre of Black Sabbath’s Sabotage era, when the foreboding doom and thundering riffs were being honed into a more balanced and expressive musical approach. Songs flow naturally and explore multiple ideas without ever feeling unsettled and indecisive – there is a mature sense of patience and confidence. 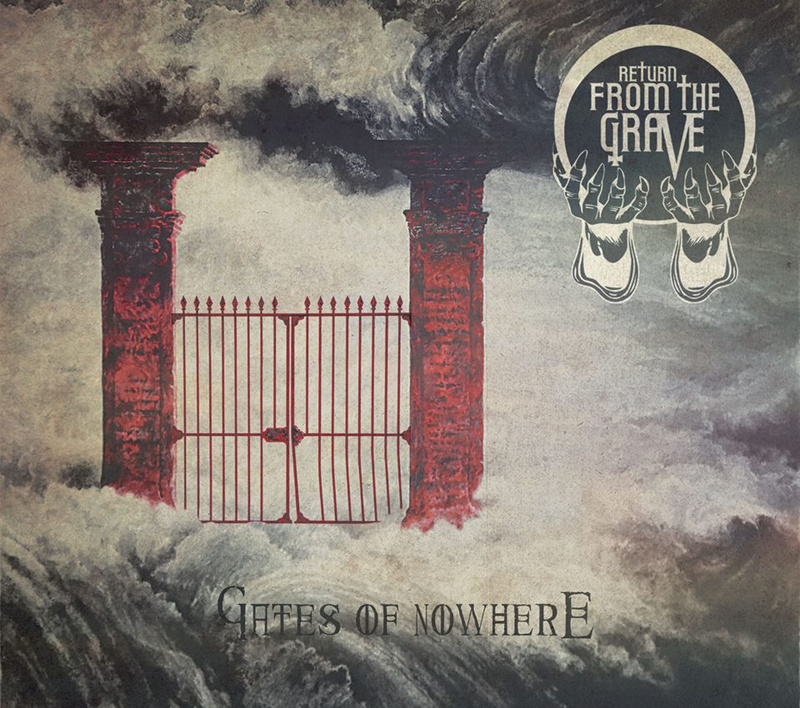 Whether Return From The Grave are taking on an unusual, progressive passage or delivering a lighter, singalong section, these Venetians have courage in their convictions and a knowledge that what they’re doing is working. ‘Inside Human’s Soul’ is the re-recorded track, and while it is enjoyable, it clearly demonstrates that Return From The Grave have developed quickly since it was initially released on the band’s 2012 debut. ‘Gates Of Nowhere’ is a metal masterclass that learns from the past and looks to the future, where anything is possible. Dexterous and demented multi-instrumentalist John Gallo (Orodruin, Blizaro) has added a doomy ‘w’ to his name and created a kaleidoscopic and idiosyncratic hour-long opus. Inspired by the mystery of Paul Chain and the majesty of Epicus-era Candlemass, ‘Violet Dreams’ delivers classic doom with a twist – no, make that a few twists. Actually, there’s probably about a million twists. The entire album is genuinely fascinating, following one man’s sojourn into a universe of endless possibilities, exploring life, death, and beyond. Gallo’s songs are angular and peculiar, like a scatter-brained professor creating a lumbering monster, and while not all of them work perfectly – in fact, few of them are anything like perfection but that only adds to the album’s charm – their strangeness is compelling. From the opening ‘Entrance To The Unknown’ to the final track ‘Beam Of Light’, songs flutter like schizophrenic butterflies from one idea to the next. There are 14 of them in total, featuring some satisfyingly demonic doom riffs, and everyone will have a different favourite – such is the songs’ complexity and variety that ‘Violet Dreams’ requires multiple listens to get anything like the full picture. Not that this is prog-doom as such. There’s more Sabbath than Yes, and you might catch moments of early Trouble or Pagan Altar. From start to finish there are numerous Iommi-inspired guitar solos, mainly improvised, and these vary between a kind of bluesy catharsis and a meek meandering that distracts from the vibrancy of the music. Generally, the album feels more powerful when resisting the urge to over-indulge, such as on the more straightforward – and very impressive – slabs of doom ‘Turn Sides’ and ‘Passer-by’. This also raises an incidental question of whether there’s any point in recording improvised music at all: it could be argued that such an act is self-defeating as it immediately undermines the transitory nature of the original exercise and results in a permanent record of something that is inevitably imperfect that can never again be experienced in its intended context. But to Hell with all that: Gallo is playing some great doom metal from the heart, and that’s what really matters. Throughout this debut release, there are proudly old-fashioned synthesizer overlays and interludes, including the rather lovely Vangelis-like ‘Ancient Tears’. Unlike the extended guitar virtuosity, these add a kind of deep, sorrowful calmness to the atmosphere. Vocally, Gallo pushes his experimentation even further: one moment his voice is high-pitched, even reaching falsetto, and then it changes to ghostly, 70s rock, feeble, quivering, Arabesque, choral, and – on ‘Rain Messenger’ – almost theatrically over-cooked. On occasion, it feels like the wheels are about to fall off, but Gallo keeps his vehicle moving, even if he’s not quite sure what direction it’ll turn next. ‘Violet Dreams’ is emotionally and creatively chaotic; a unique version of doom metal that, while clearly drawing on some of the genre’s finest, is deeply personal and thoroughly enjoyable. Guaranteed: once you start listening, you’ll be hooked. 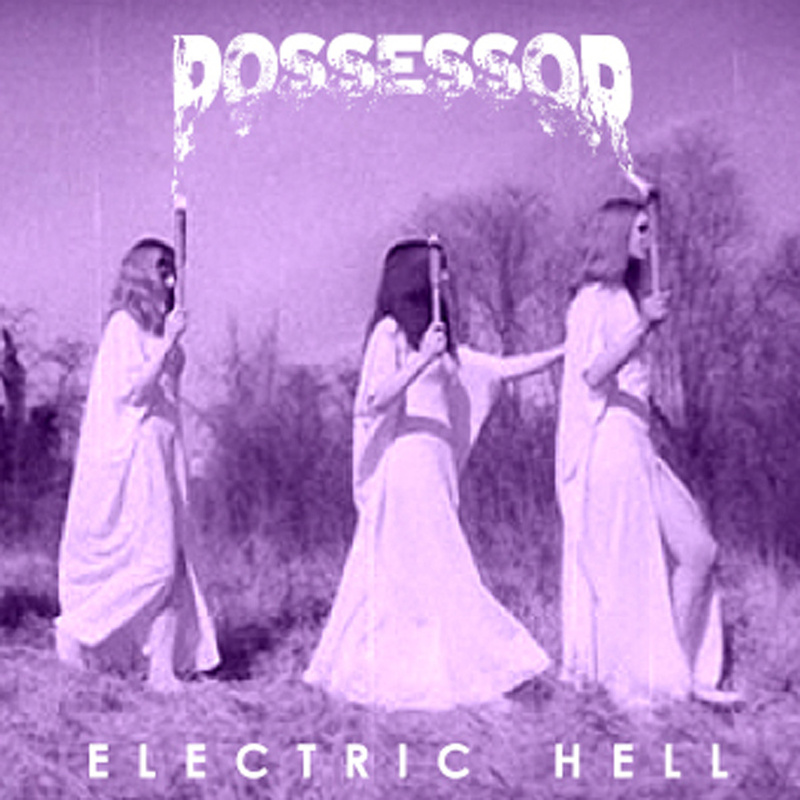 Possessor call themselves “occult metal” but this descriptor does not quite cover it because there’s more fuzzy riff-worship on offer here than there is paranormal exploration. Similar to fellow British band Mage, they quickly get into their stride with a classic heavy sound, a bass that sounds like a rusting WW1 tank driving over your face, galloping guitars that gouge out your guts and drums that pound a metallic rhythm that feels like it has been playing since before time began. Generally, these Londoners approach their song-writing with a view to creating a killer riff and building the track around it. No messing about with these guys – play it hard, play it loud. Musically, it’s like Pantera and L7 got together to play High On Fire songs – groovy, catchy, punchy, full of attitude. The haunted, rough-edged vocals occasionally lack variety and rely too much on one particular ‘echo’ effect, but they suit the music perfectly and are reminiscent of the old Acrimony frontman Dorrian. High-octane drum work and a prominent snare provide an insistent motivation to swing your beard, or whatever else is at hand, particularly on the monstrous instrumental track ‘Skeletal Form’. As the band have joked: “Metallica brought you ‘Orion’, we bring you ‘Skeletal Form’.” It is four-and-a-half minutes of old-school riff heaven. Elsewhere there are echoes of crust and thrash metal, including song titles such as ‘Limb From Limb’ and ‘Chasms Of Malice’, making this a particularly snarling, energetic brand of stoner doom. Sorry, misery fans! Possessor rarely slow down and when they do it’s only to take a breath before launching into another twisted hook. This album is often a bruising encounter. At just 32 minutes, there’s not a lot of ‘Electric Hell’, but there’s plenty to get your teeth into. Some of the tracks last for less than two minutes, presumably to avoid getting bogged down. The ideas come thick and fast, but sometimes things seem to rush past in a bit of blur – ‘Castle Of Bastards’, for example, is over almost before it begins. Even some of the longer compositions are crying out to be developed further, such as the album-closing title track, which would benefit from a little more innovation around its jangling focal riff in order to finish on a high. Forget about the pink album artwork – it’s time to let yourself be possessed. ‘Electric Hell’ might just release your inner demon. These Spanish instrumentalists create rich and beguiling music that offers the listener so much that the lack of a singer is soon forgotten. 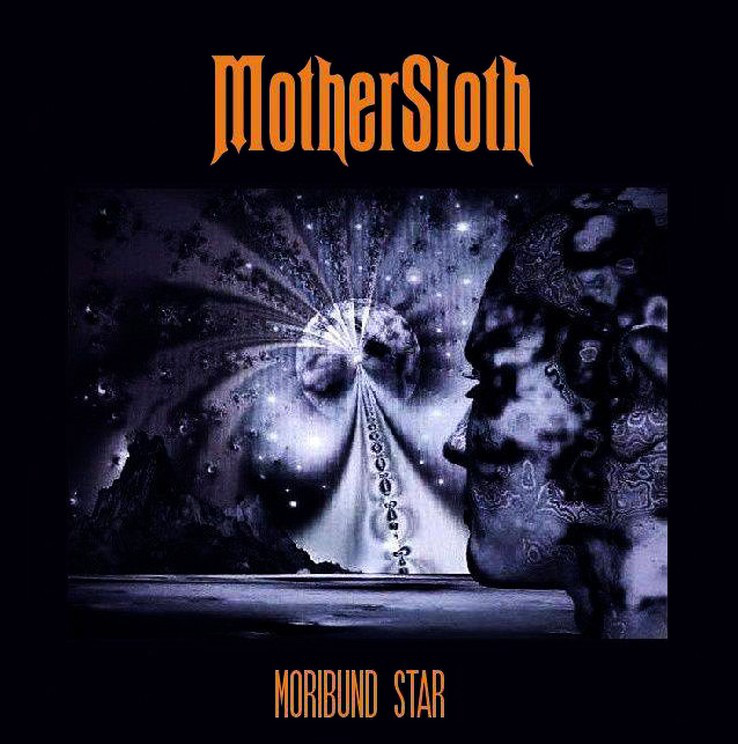 Initially, ‘Moribund Star’ harks backs to the days of classic Acrimony or Kyuss, when fat riffs were played for sheer enjoyment. However, things soon become more progressive and sophisticated, such as on the excellent ‘Holy Wall’. Bold time signatures and tempo shifts add colour and artistry to Mothersloth’s doom canvas. The guitar work shifts from languidly expressive to sharp and raw, at times deploying an almost thrash-metal kind of tone that keeps things sounding fresh and energetic. These five songs drip with quality and maturity, and the catchy riffs just keep on coming. And they save one more surprise until near the end, when a singer suddenly appears and the music takes a grungy twist. ‘Moribund Star’ is an impressive release packed with interesting and well-developed ideas. 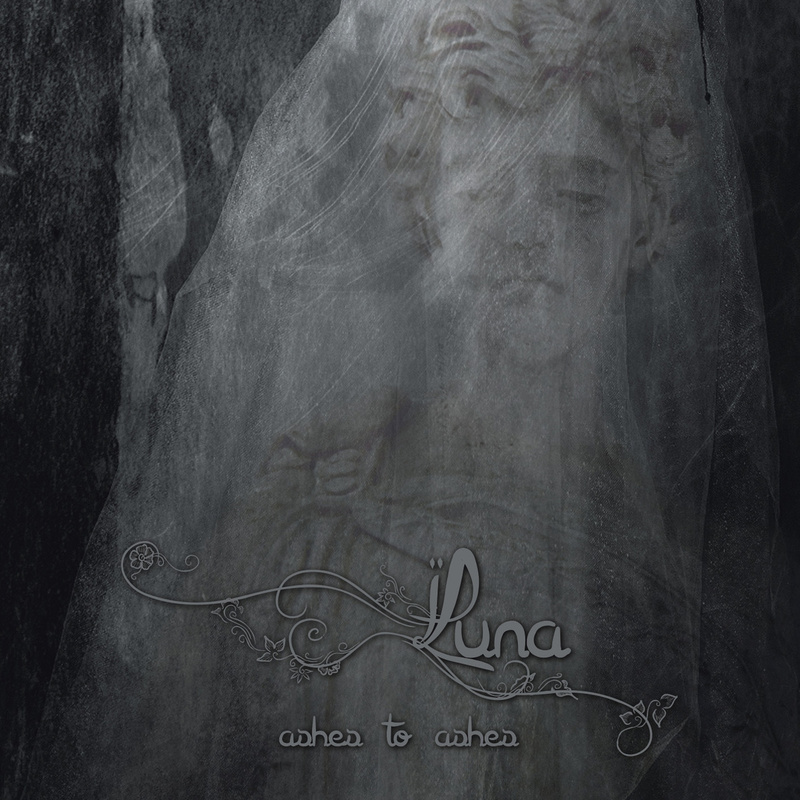 Luna prove conclusively that it is possible to have too much of a good thing. By the end of this release, a single 57-minute song split into four or five movements, you might experience epic fatigue. There is only so much ‘epic’ a human ear can handle! This stunning symphonic funeral doom from Ukraine drifts like snow through a grey sky. The ever-present synths add a heavenly backing to the grimly rumbling guitars, and choirs of angels become constant companions throughout the recording. About 19 minutes in, a piano enters to bring in a new sound and a slight change of atmosphere, while later on a viola achieves the same. But overall, ‘Ashes To Ashes’ is a little one-paced, beautiful but simplistic and unrelentingly epic. Some unusual synergies at play here: sludgy rage, monkey-based humour, blues and delicate doom combine to make this an interesting and attention-grabbing release. 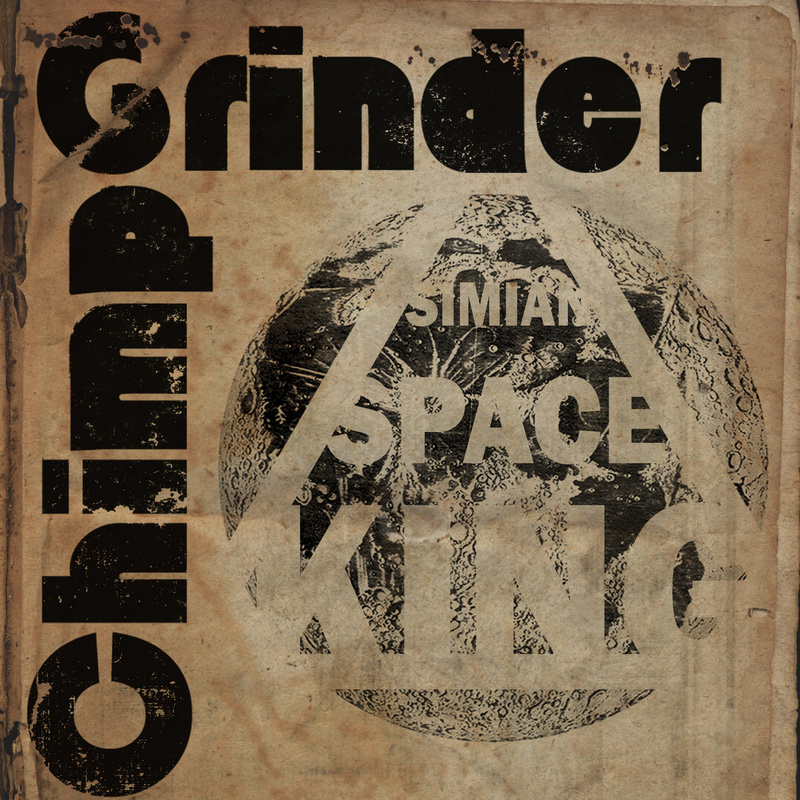 Chimpgrinder, when they are not mulling over the comedic properties of intergalactic apes, unleash a spacey brand of stoner rock, with the vocals adding a punky overtone to the mean, muscular guitars. This is 17 minutes of angry fun, with songs lasting around three minutes only, even though they rarely get beyond strolling pace. ‘Stomach of God’ and ‘High Ground And Looking Down’ are the stand-outs tracks, irresistible forces of nature. The band’s Facebook biography, by the way, is fantastically odd, and it would be great to see that personality coming through more consistently in the music. Idre create atonal doomed post-rock that is interspersed with delicate melody and hints of sludge, landing somewhere between Neurosis and Ennio Morricone. The band’s sombre, jangling guitar work is creative and unusual, exploring unexpected tangents and teasing you into gloomy alleyways, where the band might abandon you. The singer sound like a vampiric Johnny Cash, morose and wearing dark black. The first of the two songs included on this album meanders for 27 mins and is packed with heartfelt reflection and subtly-crafted, minimalist ideas which come insistently, one after another. It’s frustratingly restrained, changing frequently rather than progressing. Even the clattering crescendo a few minutes into the second track, ‘Witch Trial’, is insufficient to make you feel fully rewarded. The trio from Oklahoma City certainly indulge their creativity sometimes at the expense of cohesion. Londoners Hagstone, who were formed in 2012, mix the anguish of Alice In Chains, the energy of Kyuss and the melancholy of Trouble. The quivering vocals may not always cut the mustard, but the band produces some tight, groovy riffs that will surely encourage you to shake your stuff. And when they slow down, there is a gentle epicness behind their doomier side, which is when Hagstone are at their best. The greatest thing about this five-song release, though, is the lively and exciting drumming, irresistible cowbell included, which helps to raise even the less engaging material to a higher level. ‘Ancient, Majestic’ could be the start of something great for this band. Prog-doom is a curiously paradoxical little sub-genre, often bringing a sense of fun and endless possibilities to a type of music that usually focuses on absolute misery, death and loss. A perfect example: Canadian band MVMNTS include a bit of rap on one of the songs on their first full-length album. We’re not exactly talking “feat. Snoop Dogg” here, and it doesn’t last very long, but there it is, boldly challenging you to disapprove. If you’re still reading, well done to you. And it’s worth sticking around, because once you’ve gotten over your confusion, MVMNTS (Movements) deliver some powerful and memorable moments. There are violins everywhere, clapping, samples, spacey synths, and the whole ensemble comes across like a mixture of Jethro Tull and Isis, with bits of desert, bits of stoner, bits of drone. The guitars are not particularly heavy, the music is more subtle than intense, building to create a dizzying, ever-changing mantra. 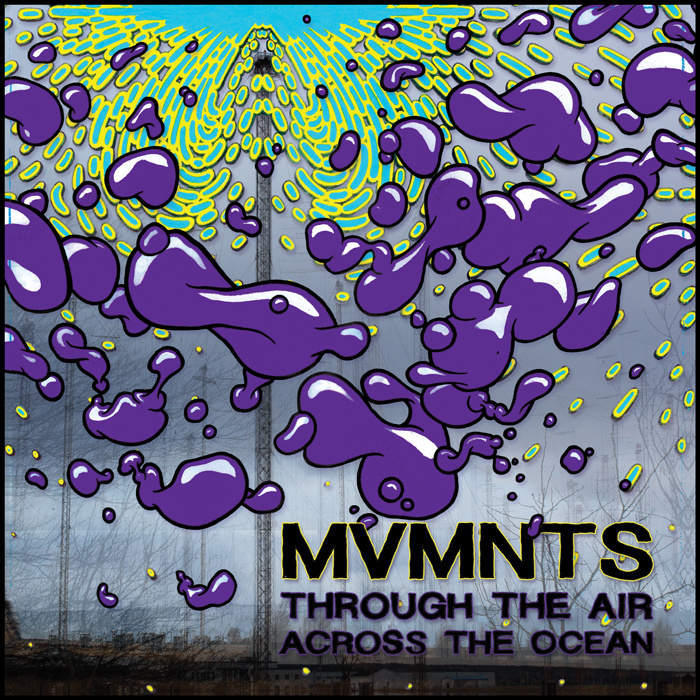 MVMNTS, who hail from Halifax, Nova Scotia, certainly add a few new twists to heavy music and come up with lots of inventive ideas and experimentation. At times, they enter a kind of droning hypnosis, swaying gently towards another dimension, such as on the explorative, thoughtful ‘Sundome Undone’. On this leviathan of a track, languid vocal harmonies and delicate violin parts have the effect of slowing down your heart-rate to the point where you might actually die. That said, its weird finale should resuscitate you just in time to catch the end of the album. Elsewhere, the atmosphere can be a little colorless, particularly when the band focuses heavily on extensive spoken-word samples. The track ‘The Future Is Written In The Skulls Of Our Cities’, for example, briefly features the skills of local hip-hop artist Hermitofthewoods and – for 30 seconds or so – a killer NWOBHM riff, but otherwise involves quite a lot of waiting around. MVMNTS are clearly a creative bunch, but sometimes their quirky ideas are tackled one at a time rather than being developed into one overwhelming entity, meaning that the songs rarely turn out to be quite as spectacular as they promise. Depending on a listener’s preferences, there may well be too much prog and not enough doom on ‘Through The Air, Across The Ocean’, and the garish artwork might be slightly off-putting. But it’s an interesting and challenging debut from a musically brave band looking to do things their own way. The third album from Finnish funeral doom masters Profetus follows the four seasons of a year, from Spring through to Winter, in what they call “a noble visit to nature’s chapels”. Unlike the violin concertos of Antonio Vivaldi, who had a similar idea a few centuries ago and created a vision of magical colour and variety , it seems that in Profetus’s world, every season is a time of appalling loneliness and sorrow. 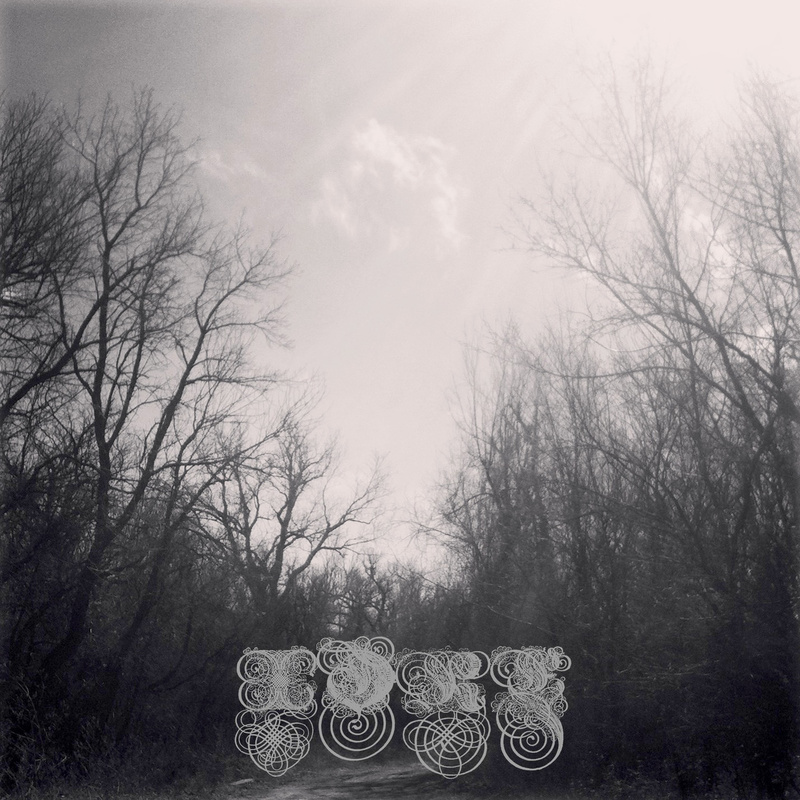 This is slow, languid funeral doom that never waivers from its solid, simple base, and yet builds into something melancholic and sometimes beautiful. 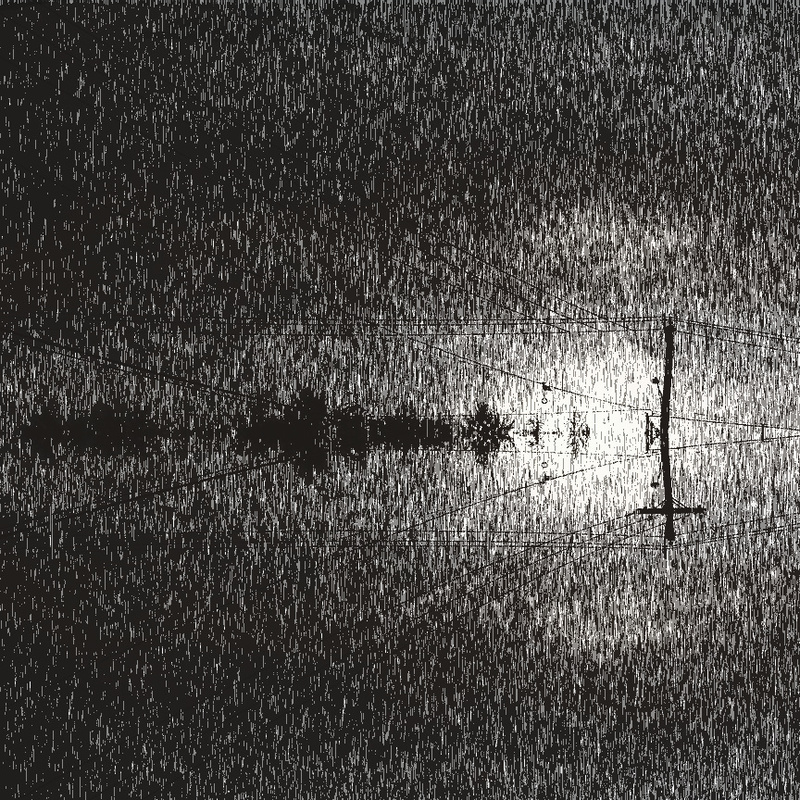 The dark, reflective intro (representing Spring) introduces two aspects which are subsequently used through the album – namely, the church organ and the spoken word. Both are staples of the genre, and while the former seems ever-reliable in its effectiveness, the latter can feel rather clichéd, whether it’s from Profetus or My Dying Bride. How these musical tools effect you depends on your preferences and experiences. One thing is for sure: Spring-time in Tampere, Finland seems to be less about baby bunnies and pretty flowers, and more about a rebirth of crushing misery. The first full song (Summer) is like a moose kick to the groin – it hits hard and sends you crashing to the ground. Which is where you will most likely stay in the face of the ensuing procession of pain and hopelessness. There’s no point asking Profetus to help you back to your feet – they’ll simply push you back to the ground and trample your head with their suffocating, heavyweight brand of classic funeral doom. You might as well lie back and accept your fate. Even the church organ, so often a cleansing agent amid the filthy tones that this kind of music inevitably delivers, sounds uniquely wretched and dissonant. Slow and ponderous, the music is undeniably downhearted, and yet it offers faint glimmers of hope. The riffs build imperceptibly towards teasing crescendos, the organ at times provides a heavenly backdrop, and the dramatic extended guitar solo on the third song (guess what – Autumn) is like a powerful, swirling storm. Finally, Winter comes, and this final track is a 15-minute flowing dirge, packed with freezing snow and imminent death. 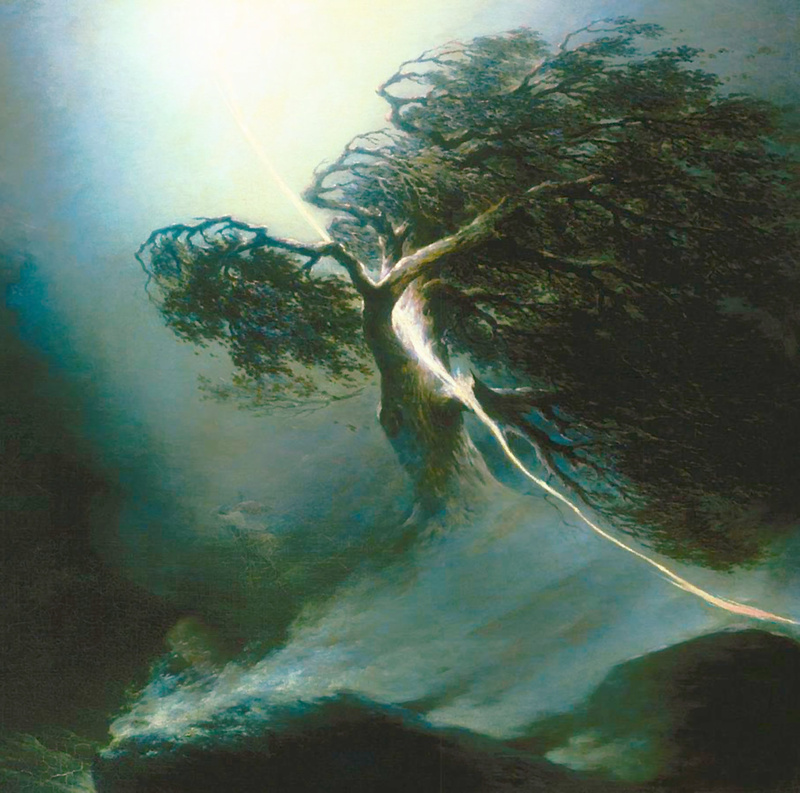 The song rises and falls with epic, thunderous passages that leave you bowed and broken in its wake. While the concept behind ‘As All Seasons Die’ covers 365 days of a year, the album itself lasts for more like 36.5 minutes, which is pretty brief. Not that you could handle very much more of this kind of gigantic, overwhelming despair. 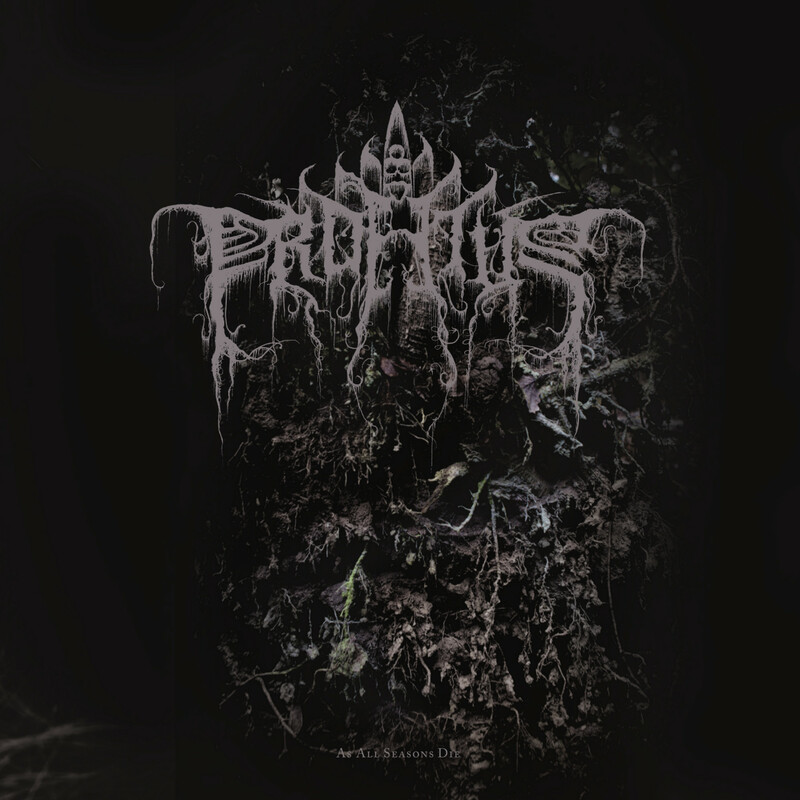 Profetus certainly do not set out to re-write the long-established funeral doom formula, but within its parameters they create a genuine sense of timeless beauty and solitude in the face of an unfeeling, unrelenting nature, and a deep emotional connection with the listener.